SOUTH HOLLAND, IL –(ENEWSPF)–January 26, 2017. 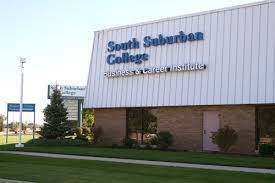 South Suburban College is presenting a free workshop titled So You Want to Start Your Own Business on Tuesday, January 31 from 6:30 – 8:30 p.m., at South Suburban College’s Oak Forest Center in Room 5190. For more information please contact SSC’s Business Department at 708-596-2000, ext. 2664. The SSC Oak Forest Center is located at 16333 Kilbourn Avenue, Oak Forest, IL.